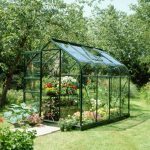 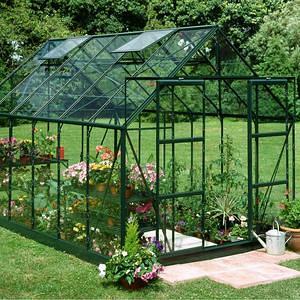 This is a traditional style greenhouse constructed out of hard wearing and durable aluminium and coated in green. 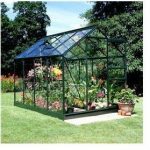 It comes with toughened glass panels and is ideal for growing plants, seedlings, fruit and vegetables. 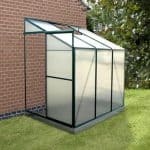 It comes home delivered with the base and has generous size front sliding doors with useful built in gutters and excellent roof ventilation. 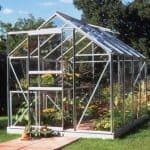 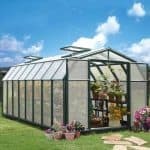 This is a wise greenhouse choice!